The Akaa Project and Worldreader have teamed up to bring e-readers to students at the Asiafo Amanfro Community School and surrounding communities. 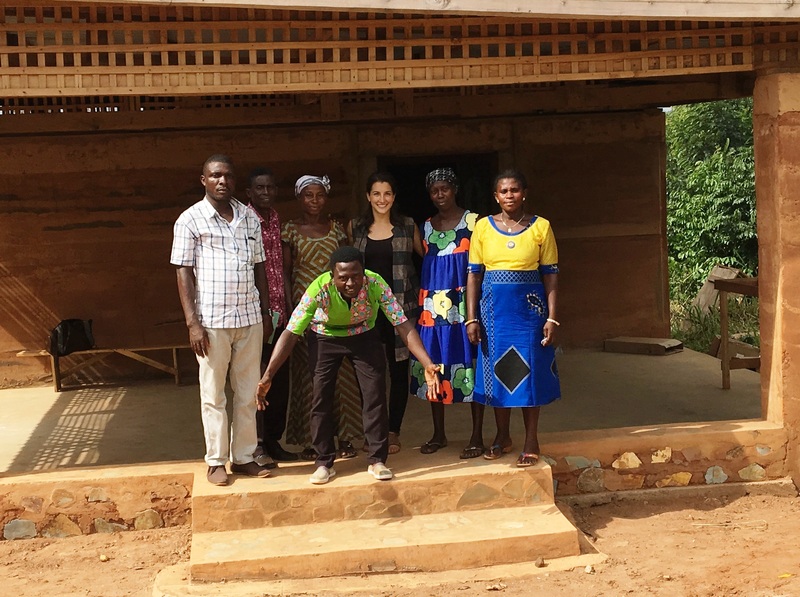 With support from Kumon and the Peyron Family, the Akaa Project now has 25 e-readers (Kindles), each loaded with 100 books that include Ghanaian textbooks, local stories and international content. The primary goal of the e-reader program is to create a culture of reading, where literacy becomes a foundation in the community. Currently, children in the Akaa community have little access to reading content outside of school and with high illiteracy rates among parents, there is little encouragement or emphasis on the importance of reading. With the e-reader program, children now have access to reading material and encouragement to read – inside and outside of the classroom. Housed in the Akaa Project’s new Community Library, the e-readers will be used as teaching tools in classrooms and be available for after-school and weekend learning programs. Teachers and community members have been trained to fully embrace the e-readers and integrate them into their lessons, while also encouraging outside of the classroom use. 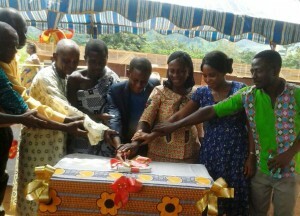 Community leaders, Worldreader, Ghana Education Service and the Akaa Project cut the ribbon to start the e-reader program. A three day training event took place on May 18-20, with a program launch celebration on May 20th. 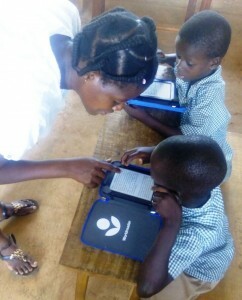 The training, provided by the Worldreader Ghana team, gave teachers, students, and parents a comprehensive experience with e-reader functionality and ignited excitement for the e-reader program. On the final launch day, over 270 people attended the colorful ceremony to present the new program to the entire community, opinion leaders, and Ghana Education Service officials. Ghana Education Service officials were full of praise for the program and the content on the e-readers. Parents were excited about how the new technology will motivate their children to learn more. And what about our students? They LOVE them! Felix in grade 6 said “[The e-reader] helps me learn more things. Also, I love the dictionary, that makes me understand all the big words I come across.” Since launching the program, there has been no hesitation among children checking the e-readers out of the community center during the week, and coming to read in groups on weekend mornings. The e-reader program aligns with the Akaa Project’s mission of creating educational opportunity for rural children and integrates seamlessly into our model of parental involvement and collaborative learning. This partnership with WorldReader will be truly transformative for our students, their families and the communities we work with. Books change lives. The ability to read increases earning potential, decreases inequality, improves health outcomes and breaks the cycle of poverty. Yet there are 740 million illiterate people in the world and 250 million children of primary school age who lack basic reading and writing skills. Books are necessary for the development of these skills, and yet 50% of schools in Africa have few or no books at all. 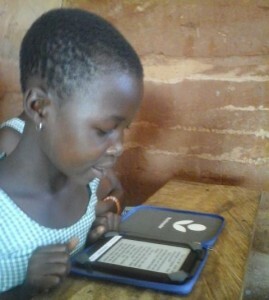 Worldreader is on a mission to bring digital books to every child and her family, so that they can improve their lives. Using Kindles, mobile phones and other digital technology, Worldreader reaches readers across the globe, providing them with thousands of book titles in dozens of languages from Kiswahili to Hausa. We work with over 300 local publishers to acquire and digitize the most compelling and relevant content for our readers. Since 2010, Worldreader has been at the forefront of this digital revolution. With more people reading with Worldreader every month, we work toward a world where the practice of reading is commonplace and where illiteracy is a thing of the past.